November 30, 2009  Bloomberg News reporter Mark Pittman died last week at age 52. Although he was not well-known outside Bloomberg, Pittman was a legend inside it. His reporting on credit default swaps suggested the likelihood of a market collapse. Pittman also questioned the financial viability of the pre-crash mortgage culture. November 23, 2009  In recent years, budgets for permanent foreign staffs have been slashed in all but a handful of newsrooms. GlobalPost, an upstart online news outlet that relies on a network of more than 70 part-time contributors in 50 countries, is making the case for a new for-profit model for covering the world. November 20, 2009  The Washington Times has long thought to be immune from the economic forces challenging the rest of newspaper industry because of the deep pockets of its founder and owner, the Rev. Sun Myung Moon, head of the Unification Church. But the recession has taken a toll on the paper and now an apparent power struggle among Moon's sons is adding to the paper's challenges. What's Behind Lou Dobbs' Leaving CNN? November 12, 2009  The CNN anchor quit Wednesday after months of tensions with executives, saying he would seek new ways to advocate his opinions. Dobbs evolved as a hard-liner on illegal immigration after the Sept. 11 attacks. His often inflammatory views conflicted with corporate strategy. 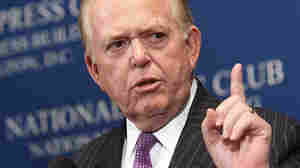 November 12, 2009  CNN anchor Lou Dobbs announced Wednesday that he was leaving the network to pursue new opportunities. Dobbs was the last of the network's original anchors. November 6, 2009  He hasn't said much since he published a memoir that was both a mea culpa and an accusation regarding his fabricated stories for The New York Times. But he will speak Friday at the twice-yearly Washington and Lee Journalism Ethics Institute. October 22, 2009  Conservative talk show host Rush Limbaugh lashed out this week at a New York Times reporter, calling him part of a radical environmental movement. Reporter Andrew Revkin could be considered fairly revolutionary — but perhaps not in the way Limbaugh thinks. October 19, 2009  The newspaper will cut the size of its news staff by 8 percent by the end of the year. It will offer voluntary buyouts at first but resort to layoffs if it cannot meet the newsroom target of 100 positions, according to a memo Executive Editor Bill Keller sent to staff on Monday. October 8, 2009  Two titles with a strong tradition of serving African-Americans are up against a plunging economy, changes in media consumption and the greater inclusion of black figures in other American media outlets. October 6, 2009  Brace yourselves for the collapse of big regional newspapers, Jarvis warns — but don't give up hope. 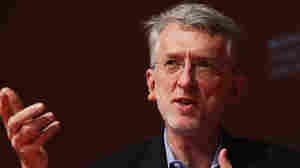 The new media evangelist and author of What Would Google Do? says that alliances of small, local news Web sites are the future of journalism. October 6, 2009  Publishing giant Conde Nast has decided to shut down four titles. Most notable among them is the monthly Gourmet magazine.